Wilmot Sanz is excited to have the opportunity to showcase two of our projects at a pair of prestigious national design conferences taking place in the Washington, DC area this fall. 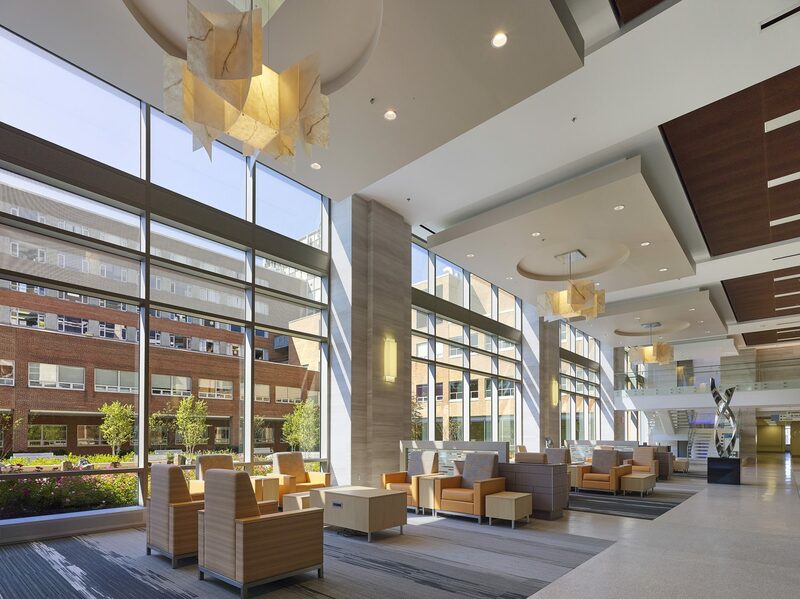 Our team will conduct tours of both the Inova Women’s Hospital & Inova Children’s Hospital, a new, 680,000 SF specialty facility on the Inova Fairfax Medical Campus, and The New Sibley, a 486,000 SF campus transformation project. The Healthcare Design Conference & Expo is the industry’s best attended conference, devoted to exploring how the “design of responsibly built environments directly impacts the safety, operation, clinical outcomes, and financial success of healthcare facilities now and into the future.” It will be held from November 14 – 17, 2015 at the Gaylord National Resort and Convention Center. The Inova Women’s Hospital & Inova Children’s Hospital and The New Sibley represent two of the eight high-profile, individual facility tours offered as part of the conference. Greenbuild is the world’s largest conference and expo dedicated to green building. Providing a place where the “ideals and passion of the green building community come alive,” Greenbuild “brings together industry leaders, experts and frontline professionals dedicated to sustainable building in their everyday work.” It will take place from November 18 – 20, 2015 at the Washington Convention Center. Both of our projects will be featured as part of a combined “Building Wellness: Your Health in the Built Environment” tour and were selected out of more than 110 applicants.